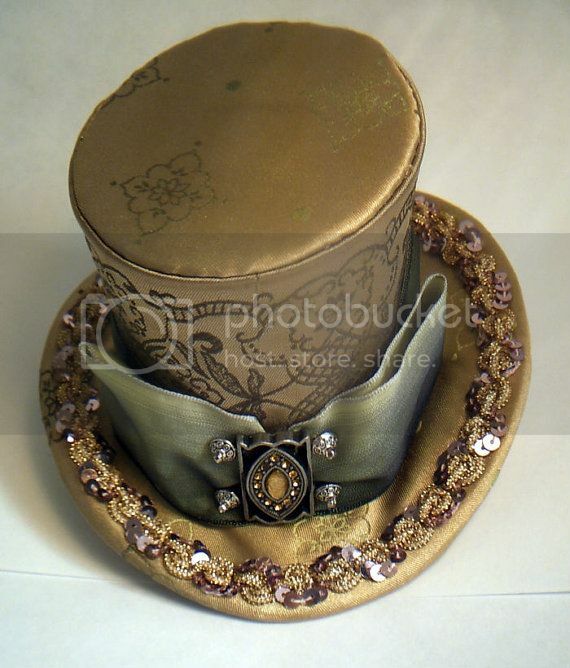 This is a Mini Top Hat Swap, each participant is responsible for crafting and sending one Mini Top Hat. Each hat will need to be decorated to your partners likes. Extra's will be between you and your partner. Make sure that you post to the thread, even if just to check in, at least once a week so that your partner and organizer know that you are around and participating. Any other specific things you would like your partner to know? This sounds tempting, I would love to send a top hat, but don't really want one back. I'll have to think about ti. Craft time was never this much fun in school!!! you could still join and just request to get top hat themed stuff like stickers or wall art or totes and tees with top hats on them, even jewlery ! I sent in my questionnaire! Can't wait! Let your passion lead you to take that leap of faith. Love the mini hats made out of empty toilet paper rolls. i need to think about it. "There is a correlation between the creative and the screwball." "Where there is fear, there is no creativity"